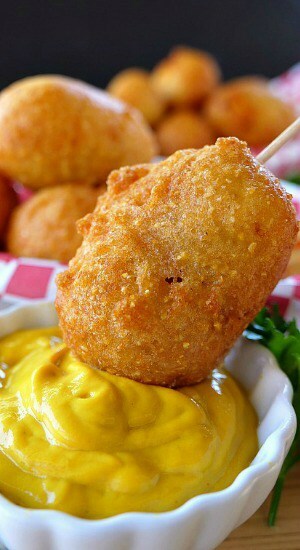 These cheesy corn dog bites are super delicious and a tasty treat that everyone will love. 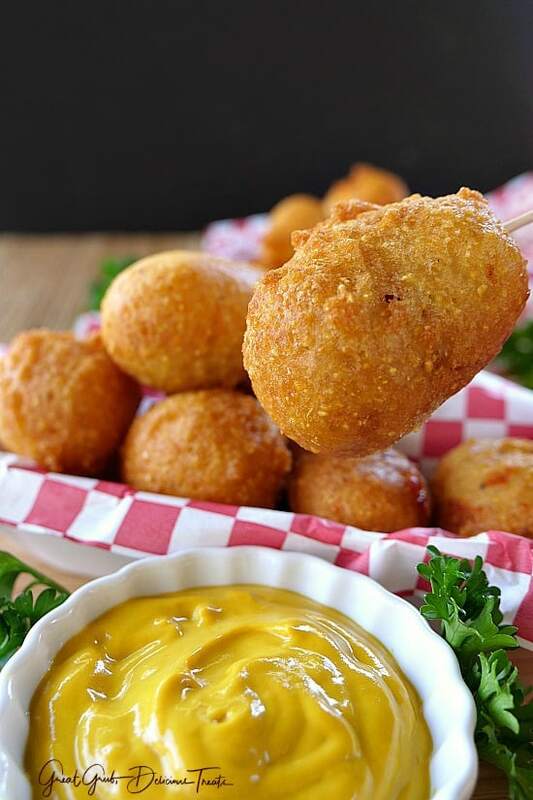 Each cheesy corn dog bite is super crispy and crunchy, and are the perfect size for even the littlest of corn dog lovers. 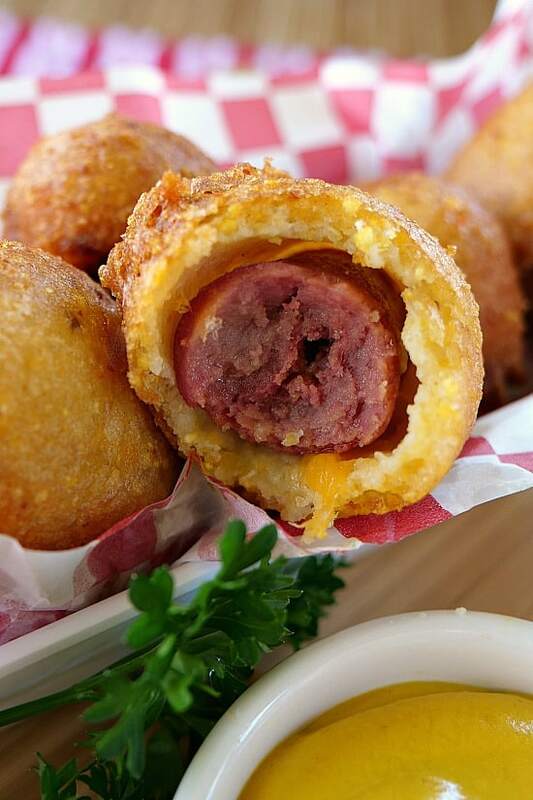 Are you a corn dog lover too? How about those yummy corn dogs from the happiest place on earth? If you know what I’m talking about, you can totally relate how delicious these little bites are going to be. If you’re not familiar with the corn dogs from Disneyland®, let me tell you how amazing those corn dogs are. So deliciously amazing! 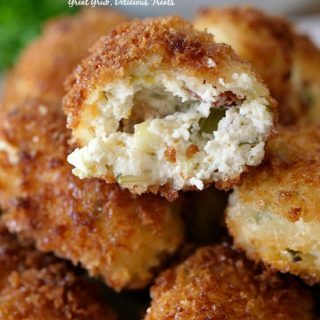 Fat, juicy and covered in the most delicious batter. We used to drive down to Disneyland® just to get the corn dogs when we had season passes, which we had for many years. They’re that good! I’ve been craving those corn dogs and decided I’d make my own. Well, these are somewhat like the corn dogs there, but in a bite size version with cheese added. 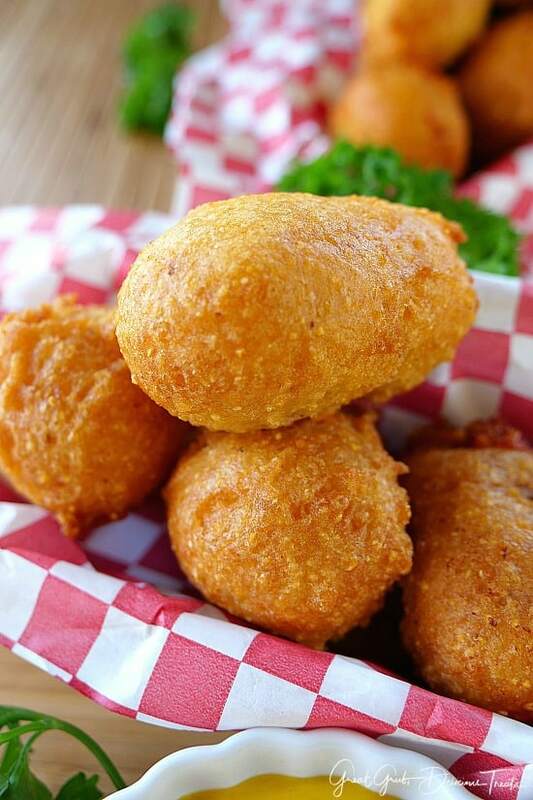 The batter is what makes a delicious corn dog and this is the perfect batter. 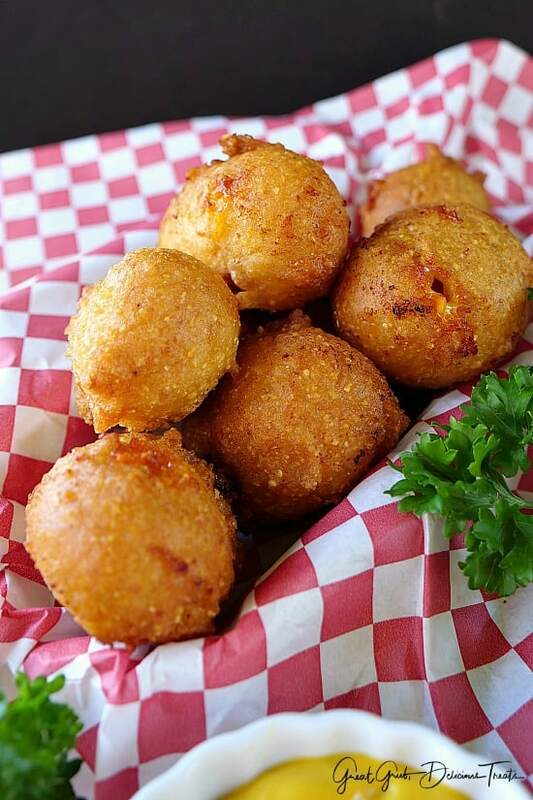 Just look at these golden bites of deliciousness. 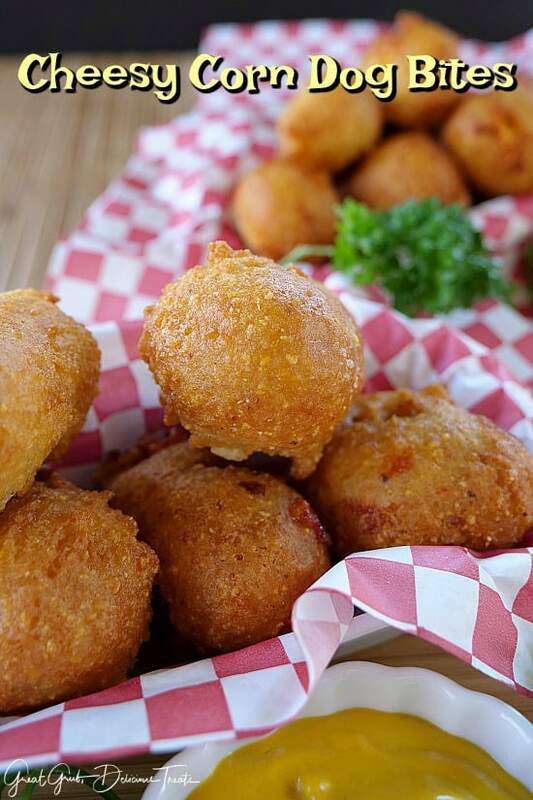 Crispy, crunchy and perfect to just pop in your mouth. 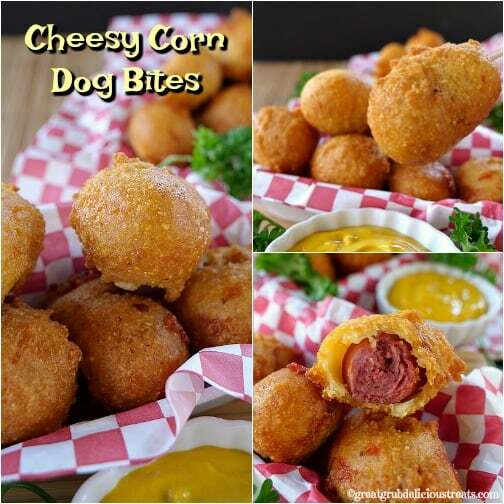 These cheesy corn dog bites taste super good and are the perfect size for the little ones and a perfect snack to enjoy anytime. 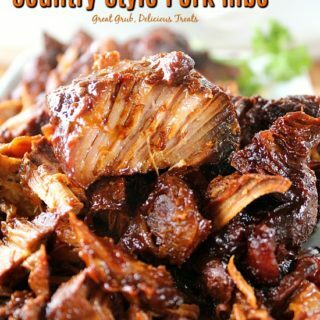 Super simple to make, super delicious to eat. Imagine sinking your teeth into these tasty bites. So basically, just cut each hot dog into thirds, stuff with cheese, dry off with a paper towel and put into the batter. Next, fry until golden brown. 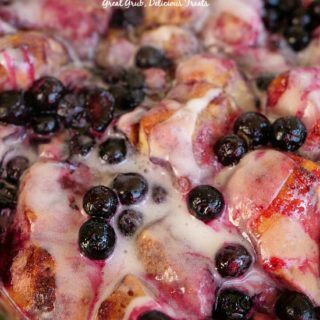 Super easy and tastes delicious! 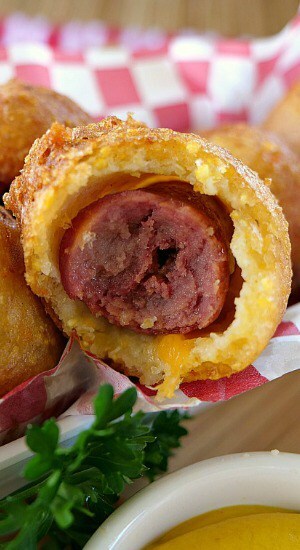 These would be great even without adding cheese, and cutting each hot dog into 4 pieces to make the bites even smaller. 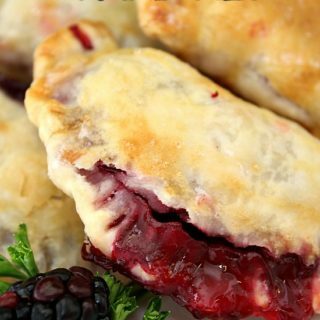 The batter for this recipe comes from Rachel over at The Stay At Home Chef. 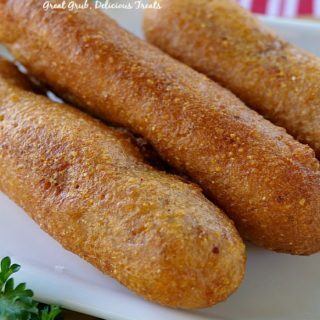 I was looking for a recipe that was exactly like the batter that the corn dogs from Disneyland® are made with and Rachel’s recipe seemed to be the best for what I was making. 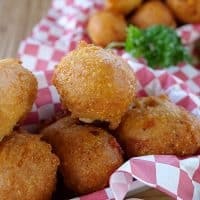 Thank you Rachel for having such a delicious batter recipe for my cheesy corn dog bites. 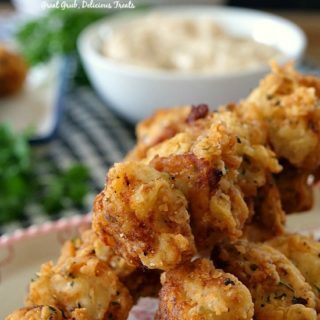 Make sure to head on over to Rachel’s blog to see all of her delicious recipes. Cut each hot dog into 3 pieces, set aside. 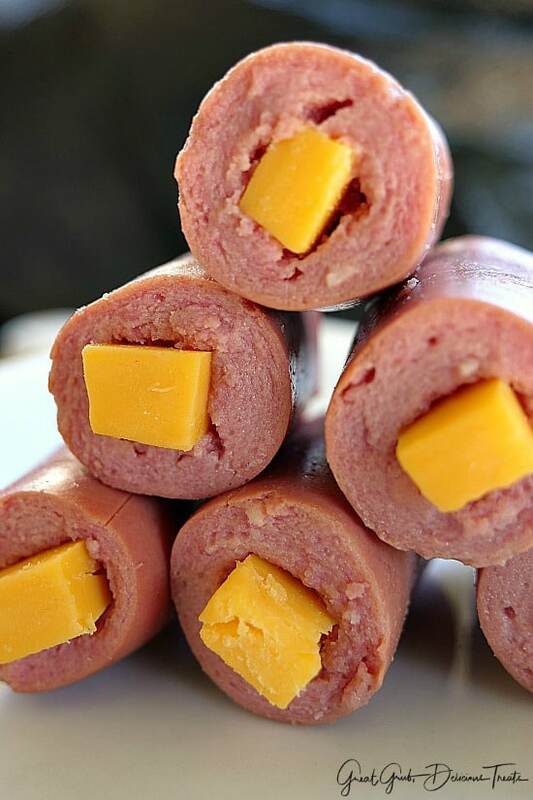 Cut a few slices of cheddar cheese and then slice each into about 1/4" thick and the length of each hot dog piece. Take a bigger size straw and poke it through the middle of each little hot dog to make a hole. Stuff a slice of cheddar cheese in each hot dog, the bigger the hole the better. Set aside. Once all pieces are stuffed with cheese, time to make the batter. In a small bowl, mix egg, milk and oil together then add to dry ingredients. Stir until just moistened. Prior to dipping hot dogs into the batter, make sure to dry each one off with a paper towel. Next, dip each piece into the batter, covering it completely and then adding it immediately to the heated oil with a spoon. Cook until golden brown on all sides and then remove and place on a plate lined with paper towels. Fry about 6 at a time for even frying.